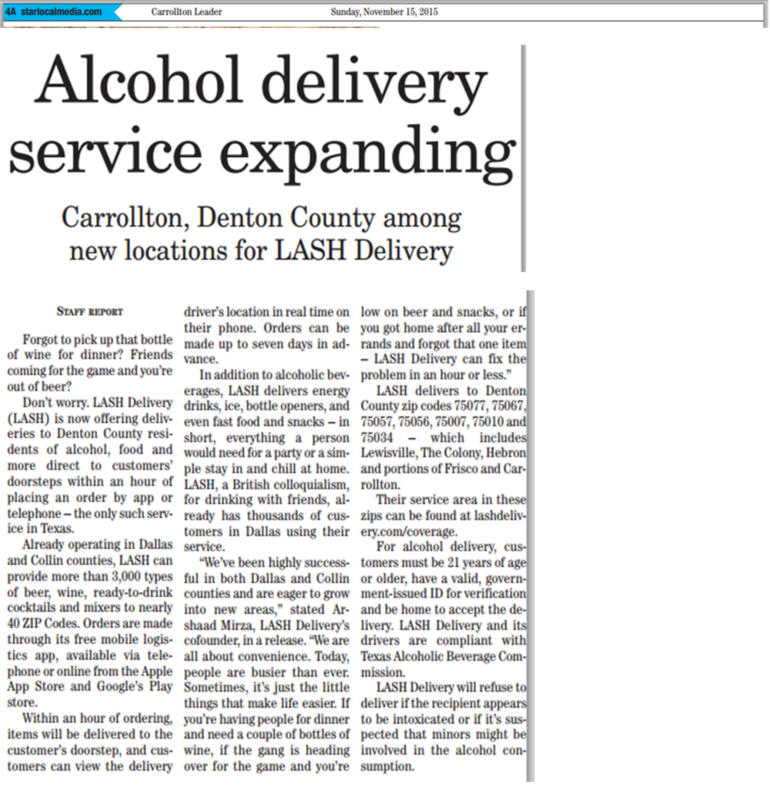 Lash Delivery is a new liquor delivery service powered by a mobile app for both iPhone and Droid that promises to-your-door, scheduled deliver of liquor, beer, wine, mixers and more. 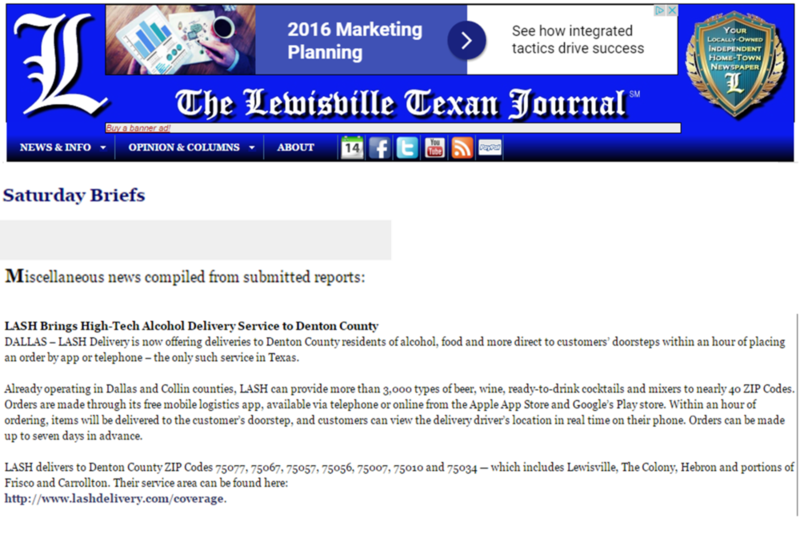 The company had expanded operations in Denton County and had put out a press release but had only received one small item in the Denton Record-Chronicle. Working with the client, we rewrote the press release and strategically approached select, hyper-local outlets with the news. The result was a half-dozen articles, each with a link going back to the client’s website.